This was on gunbroker and ended this morning with no bids ( big surprise ). 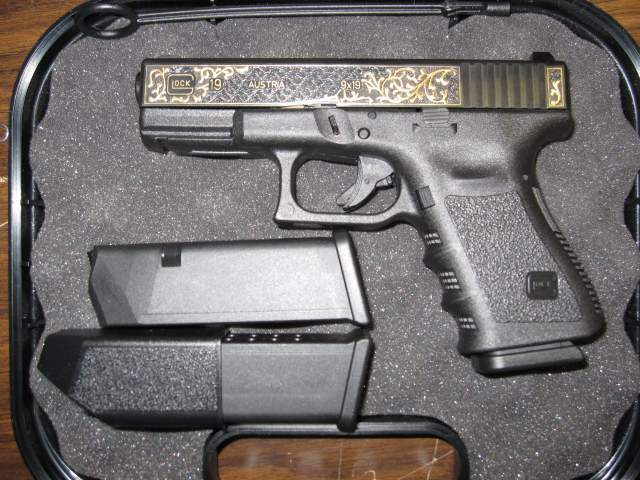 The starting bid was set at $10500 , quit the markup considering a normal Glock 19 goes for around $500. I think the engraving actually looks pretty nice, but I could definitely do without the gold. They had 16 Glocks with engraving total, and now they have 11 left of various models. 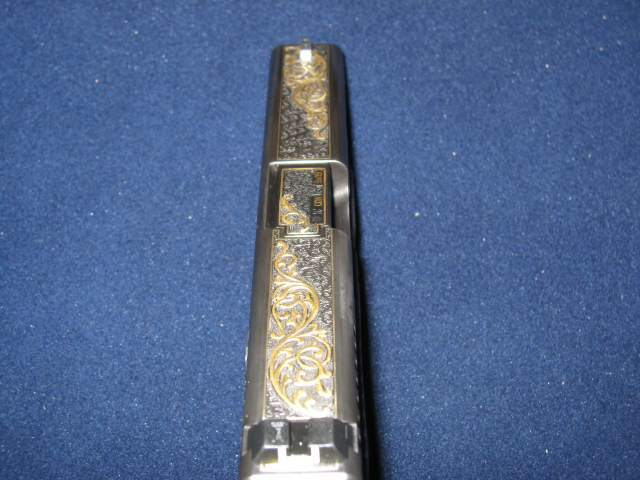 This is an incredible opportunity to own one of twenty only ever produced gold inlaid Glock pistols. These guns were recently imported from Glock in Austria and all bear the Austria proof marks. All will come in their original Glock box, appropriate number of mags and cleaning kit. 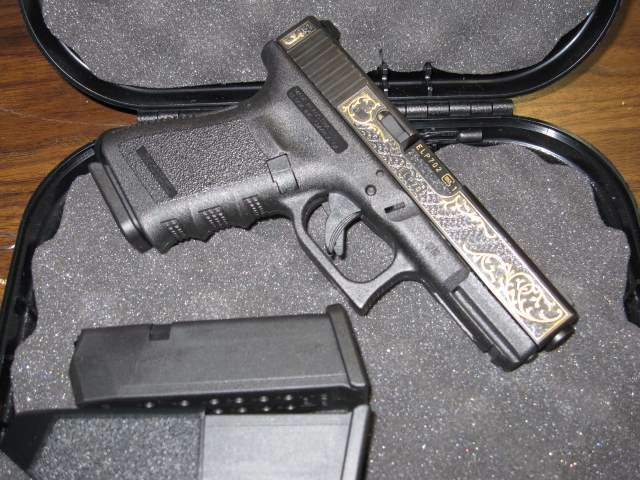 Each gun was hand engraved by Glocks only master engraver and Gold inlaid. ***CONSEQUTIVE SERIAL NUMBERS ARE AVAILABLE*******through a unique purchase, we have acquired 16 guns, of which 11 are still available and whose breakdown is as follows: 6 Glock 26 9MM, 1 Glock 22 .40 cal, 1 Glock 17L 9MM and 3 Glock 19 9MM. This auction is for a Glock 19 9MM pistol. This gun (as with all others) will also come with a wood presentation case with a glass lockable top. It’s nice and very goog.